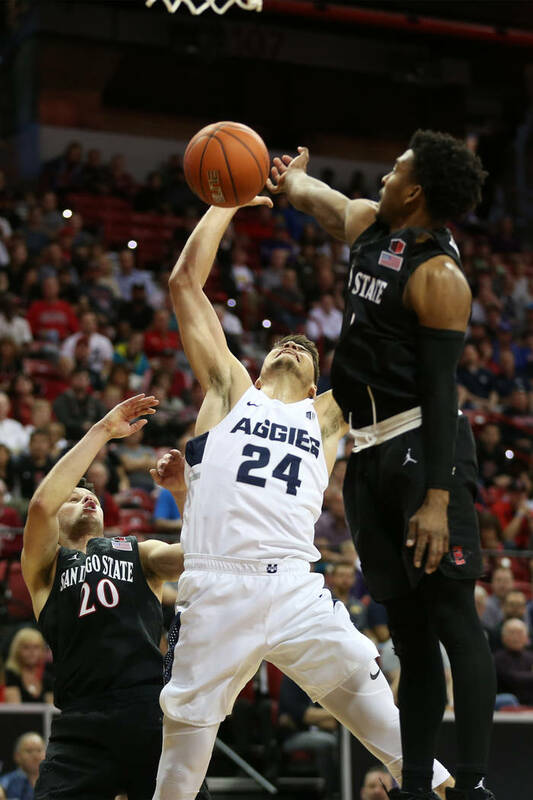 Freshman center Neemias Queta had 17 points, eight rebounds and two blocked shots to help Utah State to a 64-57 victory over San Diego State on Saturday in the Mountain West Tournament final. 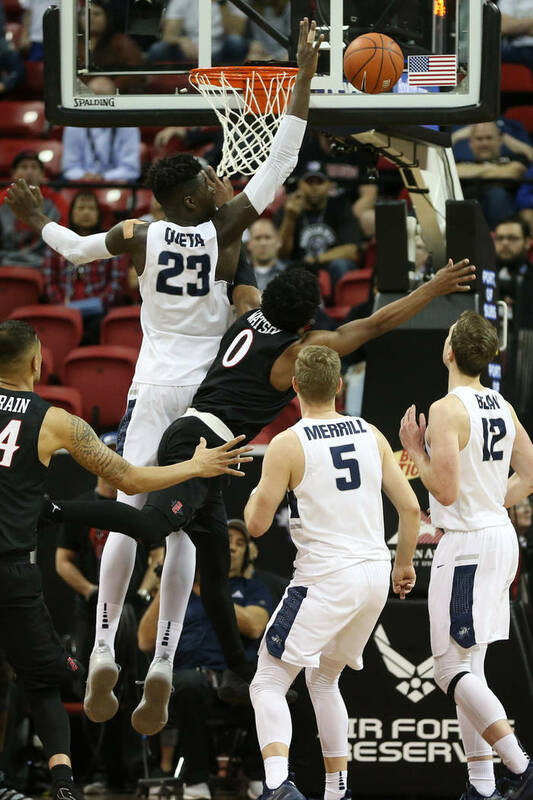 During his first practice at Utah State last fall, freshman center Neemias Queta told a teammate who was rotating on defense to help stop dribble penetration not to bother because he could handle anyone who got into the paint. 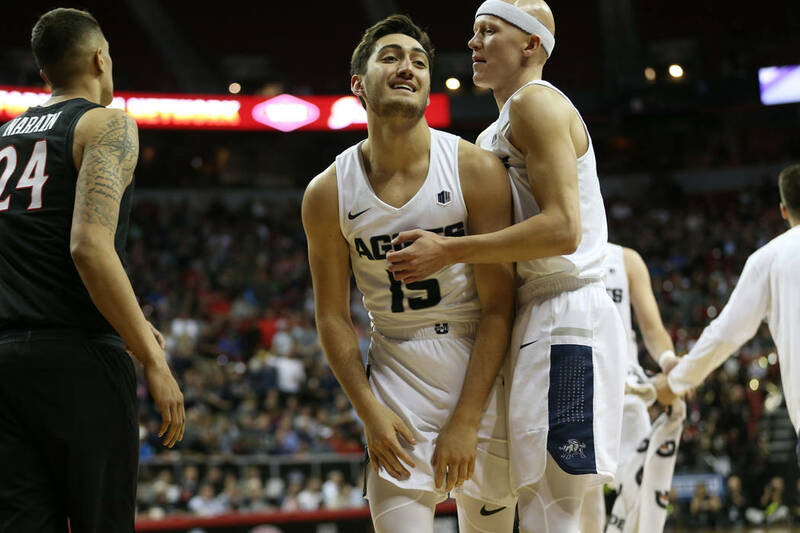 Aggies coach Craig Smith heard Queta but wasn’t sure what to think. 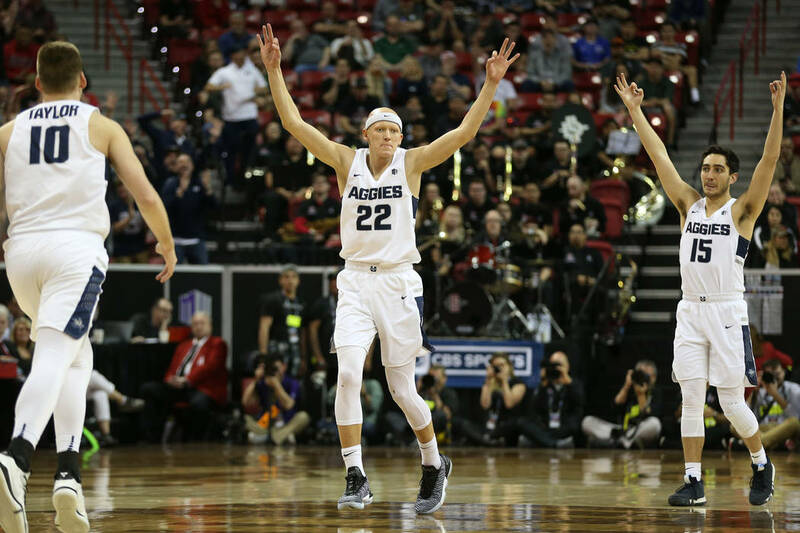 He does now. 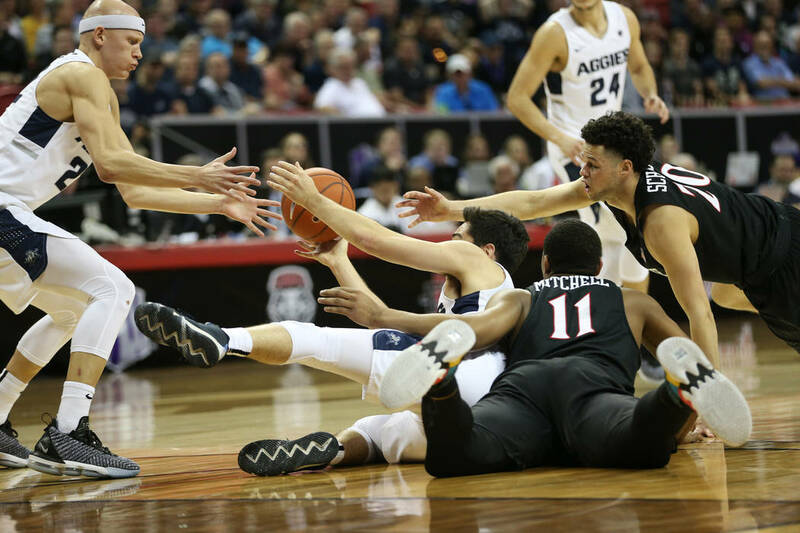 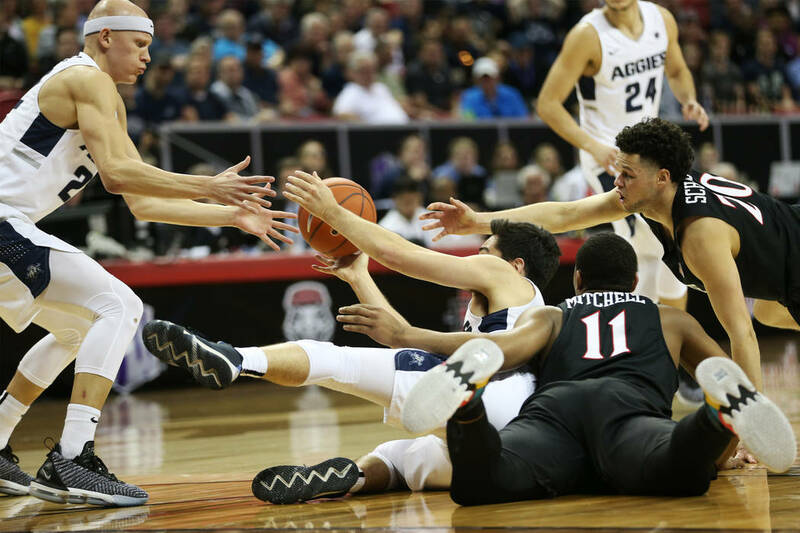 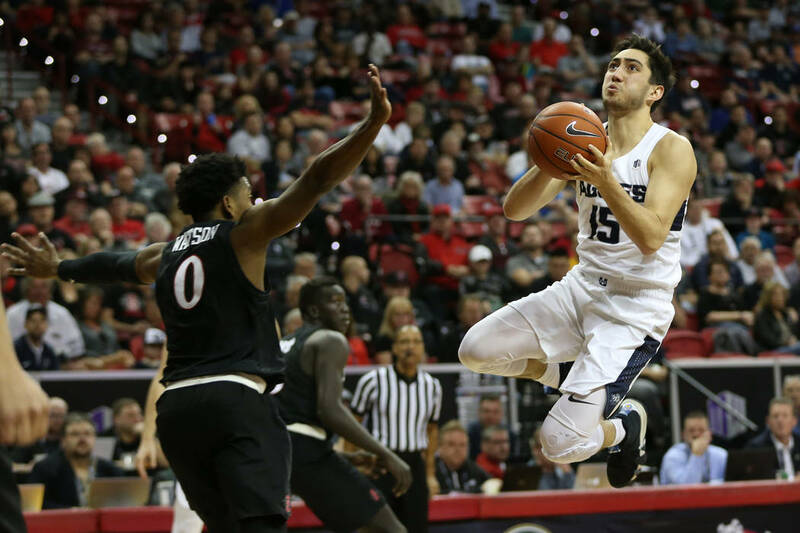 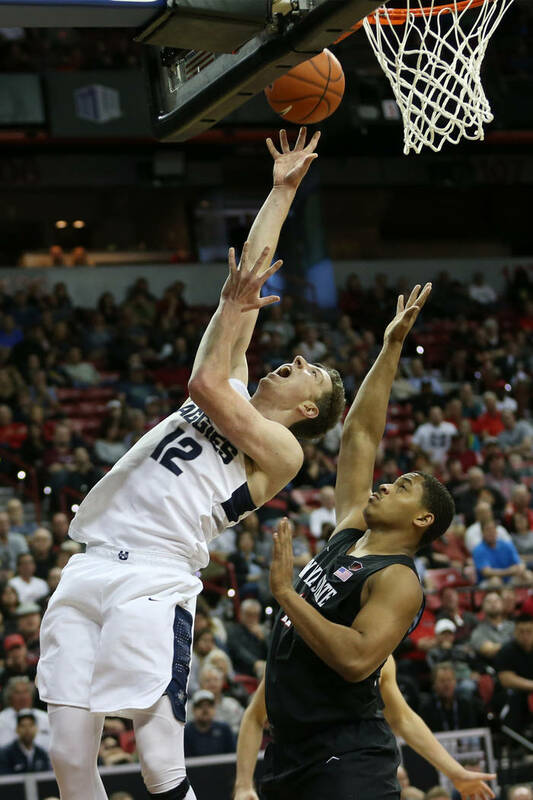 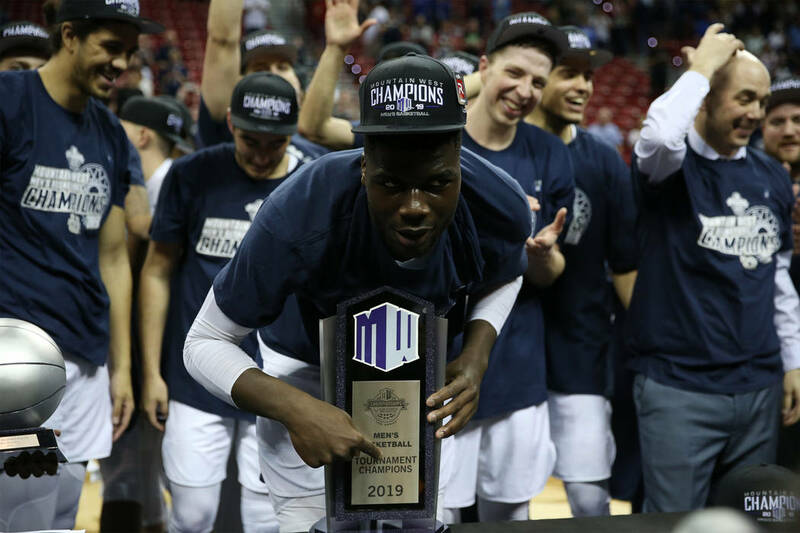 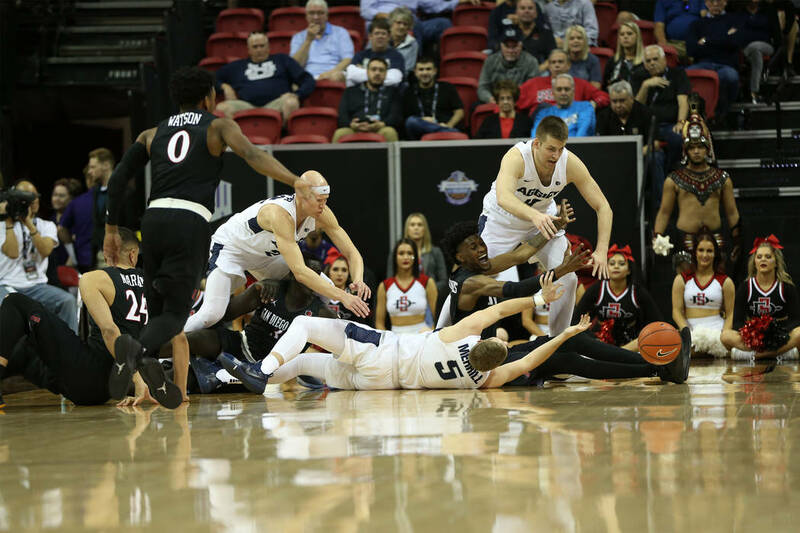 Queta, whom Smith’s staff found in Portugal just before the school year started, helped anchor a defensive masterpiece Saturday as Utah State won the Mountain West Tournament championship with a 64-57 victory over San Diego State at the Thomas & Mack Center. 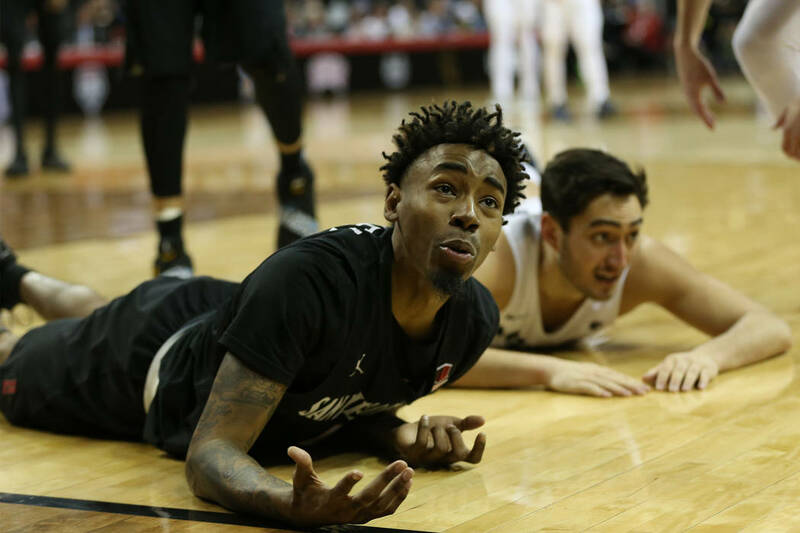 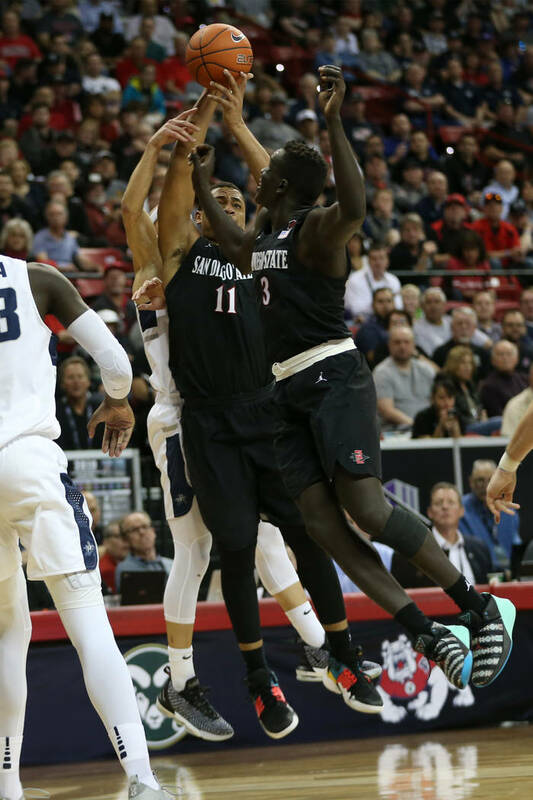 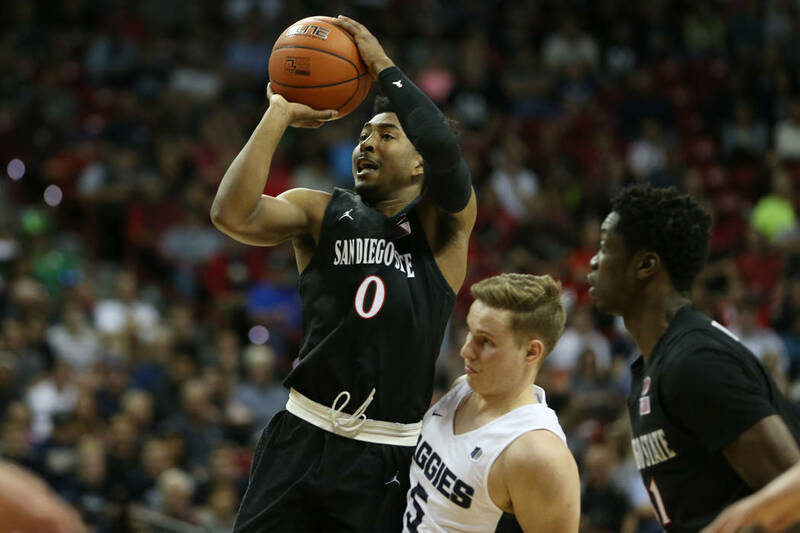 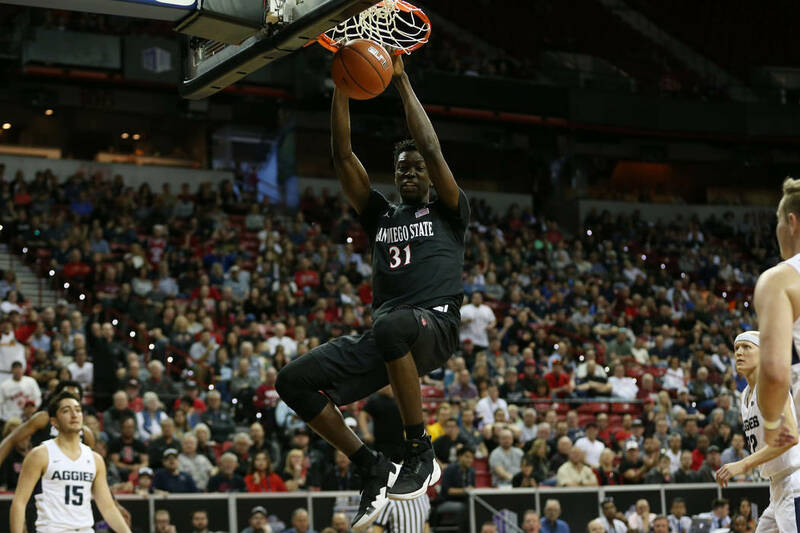 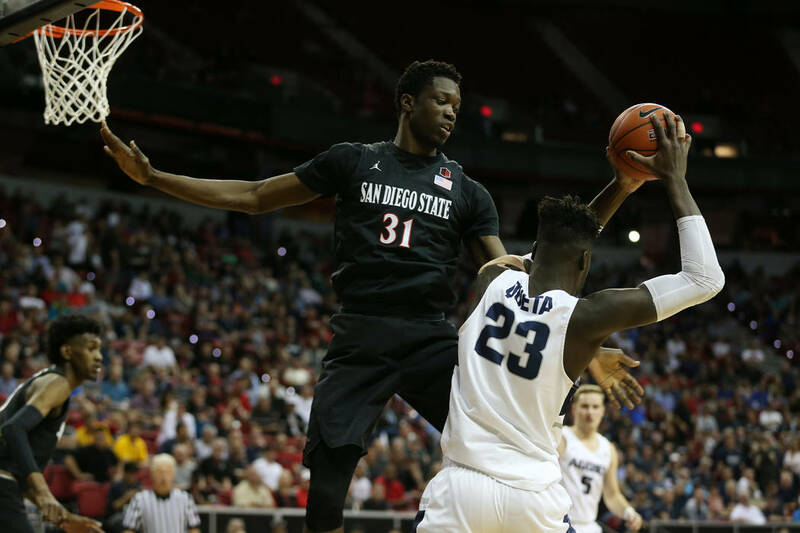 Queta, the league’s top freshman and defensive player of the year, had 17 points, eight rebounds and two blocked shots and made the Aztecs think about several others. 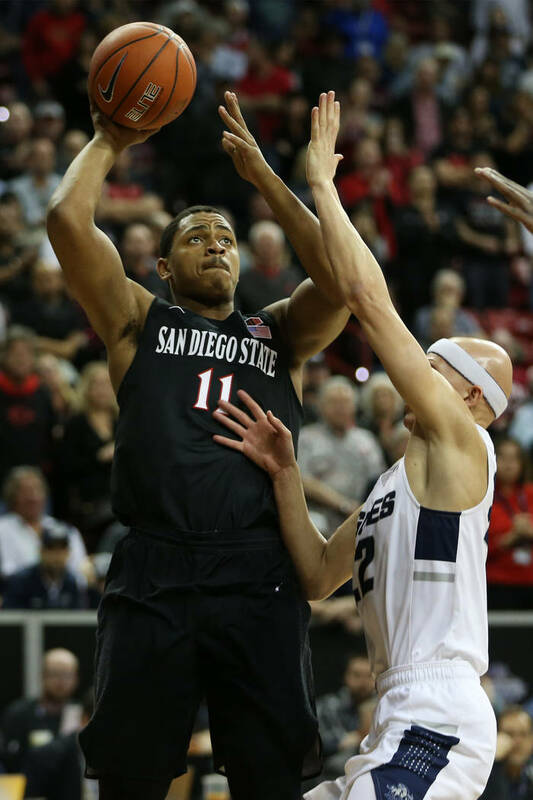 The Aztecs (21-13) shot 33 percent for the game and 27 percent in the second half. 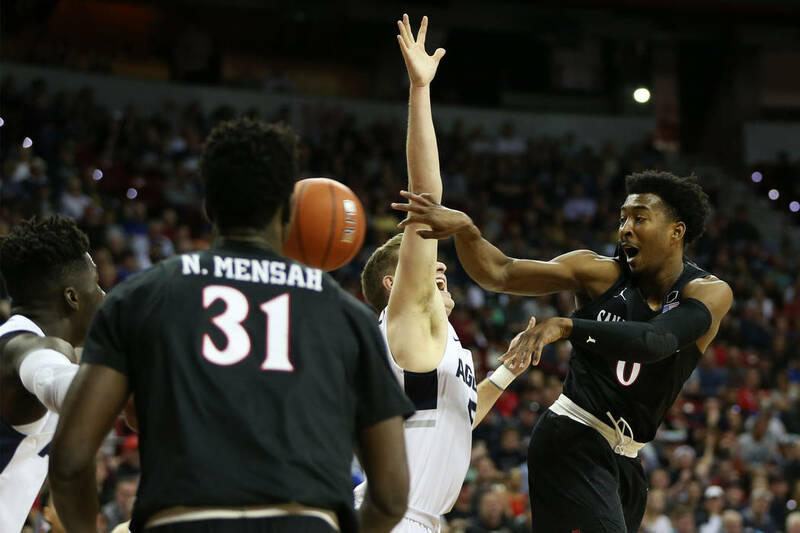 It was exactly what Smith had hoped for since that first practice. 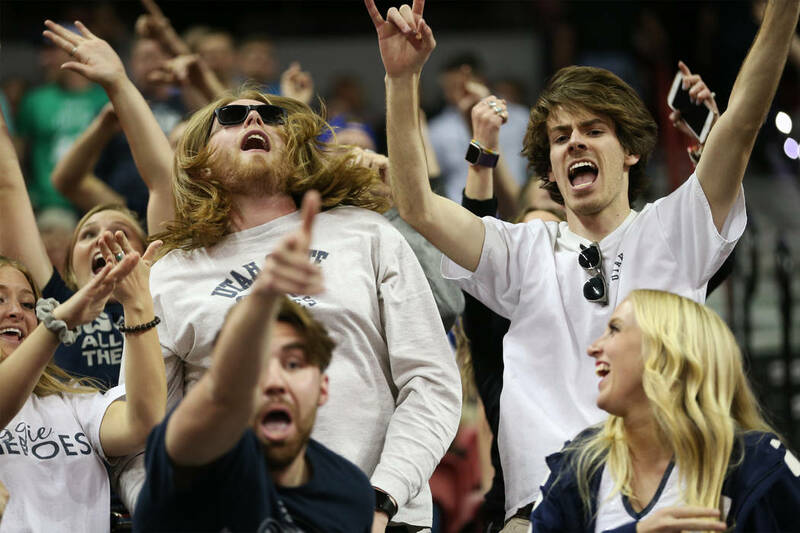 Even the most optimistic fan would have had a difficult time predicting the success of the Aggies. 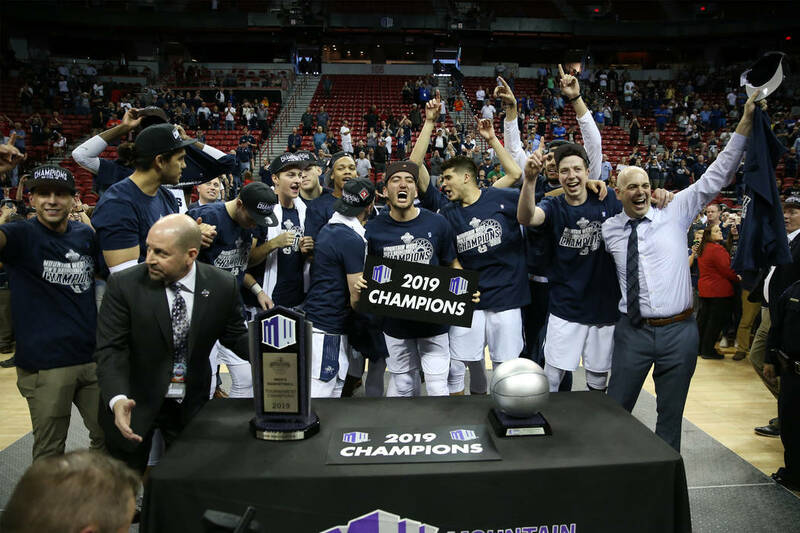 Smith took over in March when Tim Duryea was fired and inherited some good players, most notably junior Sam Merrill. 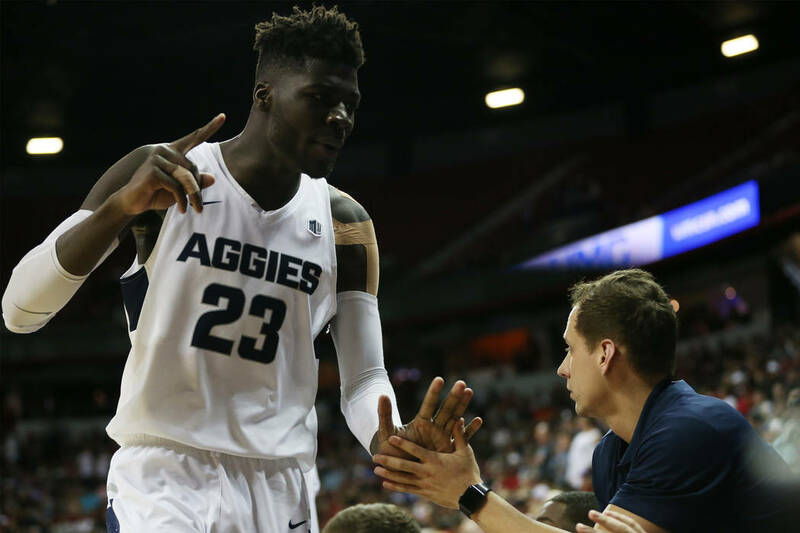 But it was signing the 6-foot-11-inch Queta after sending an assistant coach to Portugal in March that helped return the Aggies to the NCAA Tournament for the first time since 2011. 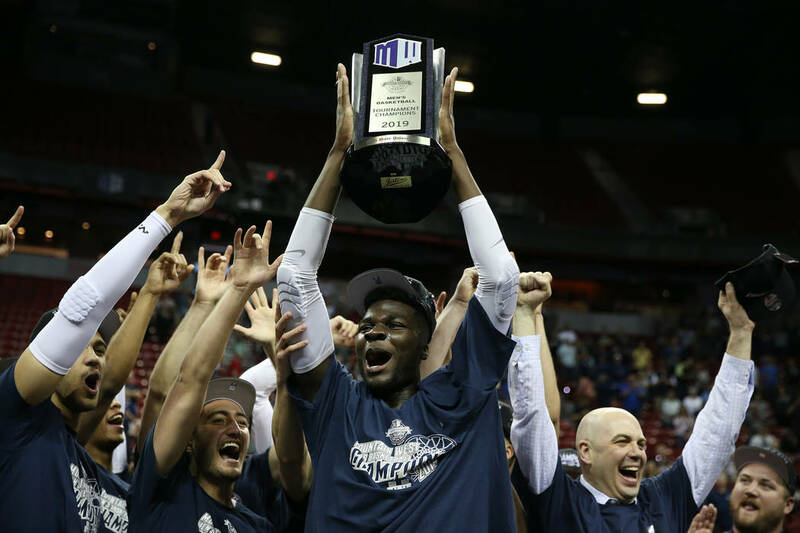 They will take a 28-6 record into the NCAA Tournament, after sharing the regular-season title with UNR. 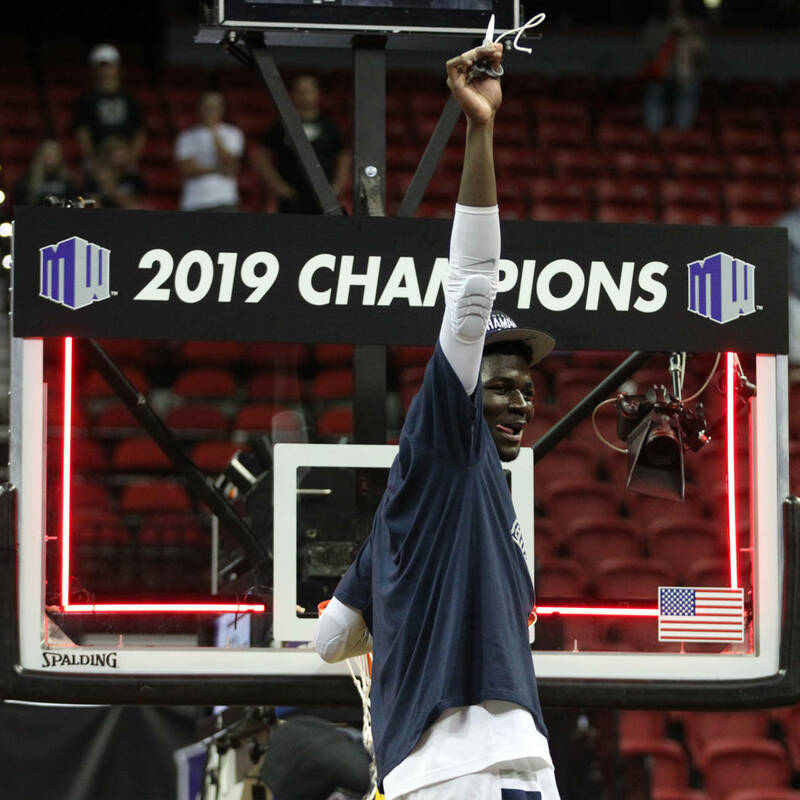 Queta, who was particularly effective on both ends during a decisive 13-0 run to start the second half, is just as pleased with his decision. 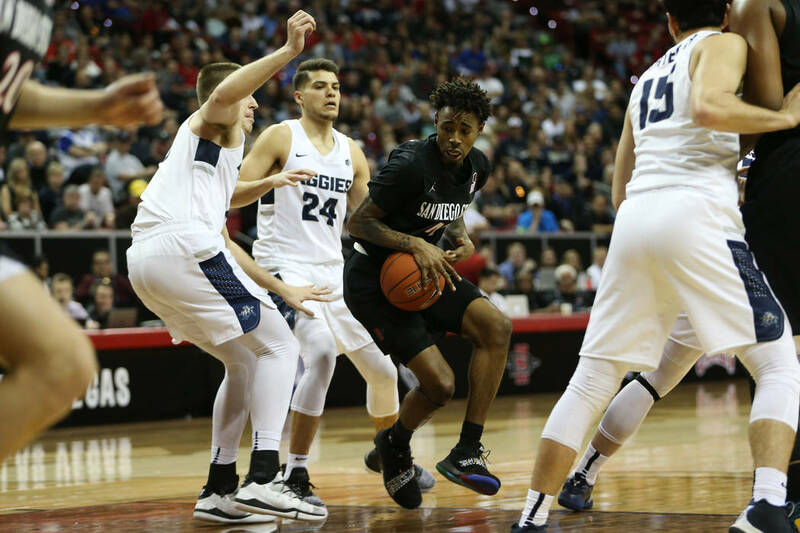 Joining Merrill on the all-tournament team were Queta, San Diego State’s Jalen McDaniels and Devin Watson, and New Mexico’s Vance Jackson.